The Grey Nuns want to transform their mother house, and have partnered with Université de Montreal to transform the 17th century building. In the heart of Old Montreal, the Marguerite d’Youville mother house is teeming with history. 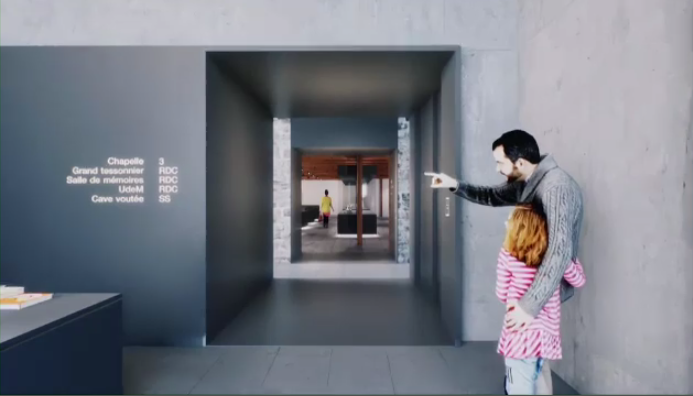 Inspired to reinvent the heritage site, the Grey Nuns teamed up with the university’s archaeology department, and came up with a unique concept in Quebec: an expanded version of the existing museum, alongside a state-of-the-art archaeology lab, and a public space for teaching students and visitors. “This is the right place, and the right moment to do this kind of archaeology, and making sure the public has access to it,” explained Frederic Bouchard from the faculty of Arts and Science at U de M.
“There aren’t many places left in Old Montreal that are so important for the history of Montreal, and that can be made accessible to the public,” he added. The project would see the Grey Nuns hold on to the property and cover operating costs, while the university would fund the lab. They have yet to secure the $35 million they need, mainly to solidify the building and turn the original vaulted cellar into a visitor’s space. They’ve been in talks with all three levels of government, but now the nuns want a commitment. With a report by Annie DeMelt.